Christian stewards recognize God as the source of all good gifts. An understanding and a commitment to practicing Christian stewardship as a way of life is necessary for those who are disciples of Jesus Christ. This ministry assists parishes in establishing a long-term presence of stewardship within the faith community. 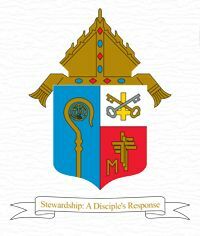 We strongly recommend that stewardship committees come under the auspices of the Parish Pastoral Council. Encouraging parishioners to share their God-given gifts within and beyond the parish faith community leads to fruitful evangelization and catechesis. Stewardship is a way of participating in our Church and in society by bringing God into the center of our daily life. The roots of stewardship can be found in our biblical tradition which reveals our relationship to God as Creator and Giver of all good things. To be a steward means we are not owners of these gifts, but rather, grateful caretakers and servants. As Christian stewards, we view our resources of time, talent, and treasure as gifts from an incredibly generous God. He has entrusted us with these gifts to nurture their growth and use them wisely. As servants, we recognize that we are accountable for the wise use of all of our gifts. Stewardship, however, is not our effort through our time, talent, and finances to create a relationship with God. Stewardship is our response to God because of our relationship with Him that already exists through his Son, Jesus Christ. Christian stewards serve God daily by through their neighbors, and are themselves motivated by profound love, gratitude and justice. Please contact Rev. Msgr. Robert Mazur at (814) 693-9605 for more information about the lifestyle of stewardship.